Easy-to-use, durable design keeps you spraying! 1. Easy to clean A & B Filters reducing downtime. 2. Fasteners are easy to remove with a standard nut-driver. 3. Direct hose connection reduces weight. 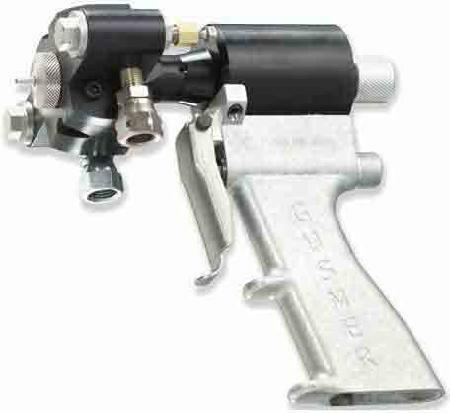 Graco Gap Pro replacement gun parts listed below.